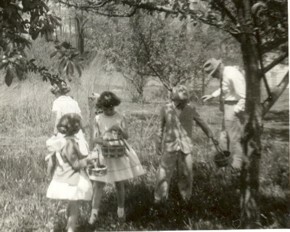 Pictures of long ago bring back and stimulate thoughts about a time long gone but very important in the experience-chain of Life. Such pictures capture a moment in time for posterity. There is comfort and joy in that phenomenon. The older one gets, the more that “small things” from the past become treasures. 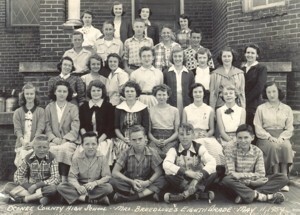 Old family photos, school pictures and other groups are real treasures when we slow down enough to think and review them. 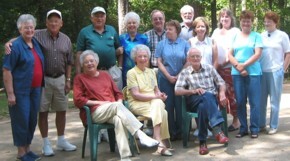 The group picture of the Oglethorpe County Book Club below is such a treasure. In the busy world of today, it is inspiring to see so many young cheerful faces that will march through life in the decades to come. Such events and persons are really what keeps the world turning. Students from Oglethorpe County Child Development Pre-K classes, participated in the Pre-K 100 Books Club. Parents, Grandparents and siblings read at least 100 books to the children from December 1, 2003, to May 24, 2004. Parents were encouraged to ask questions about each book to encourage the child's comprehension, talk about words that rhyme to encourage the child's phonemic awareness of letter sounds and point out sentence punctuation's. Parents were encouraged to talk about the author and illustrators of the books as well. We salute the parents who made sure reading was a priority for their child! Learning to love reading is a very important part of Pre-K classes.